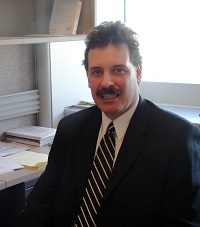 Dr. Walter S. DeKeseredy is the co-recipient of UOIT's first Research Excellence Award, which was granted in the fall of 2007. Dr. DeKeseredy is also the co-recipient of the American Society of Criminology's Division on Women and Crime's 2004 Distinguished Scholar Award. In 1995, he was awarded the American Society of Criminology's Division on Critical Criminology's Critical Criminologist of the Year Award. Most recently, Dr. DeKeseredy was awarded the 2008 Lifetime Achievement Award from the American Society of Criminology's Division on Criminology. Author or co-author of over 70 scientific journal articles and over 30 scholarly book chapters, Dr. DeKeseredy has authored or co-authored 15 books on topics such as woman abuse, crime on poverty in public housing, and women in conflict with the law. In addition to making numerous scholarly contributions to his field, Dr. DeKeseredy is frequently called upon to provide advice and guidance to government agencies such as the Centers for Disease Control and the U.S. Justice Department. DeKeseredy, W.S. ; Dragiewicz, M. (2005). Routledge Handbook of Critical Criminology. Routledge. DeKeseredy, W.S. (2010). Contemporary Critical Criminology. Routledge. DeKeseredy, W.S. (2011). New Violence Against Women: Facts, Myths, Controversies Routledge.